Voting the way they did, Greeks gave their government an unambiguous mandate to resist, surprising friends and foes alike, especially through the large percentage of their No vote, as they have done many times in their long history. Nobody could predict – and nobody did predict – this result, either in Greece or outside its borders. Greeks voted the way they did at a time when the European Central Bank had already begun to carry out its threats, closing down the country’s banking system. The signal from the European establishment and the bankers behind it was clear. Today we shut down your banks; tomorrow we will shut down your country, if you vote No. All voters felt the seriousness of their decision, which would most probably put them on a collision course with some of the most powerful forces on Earth. Greeks voted also No in spite (in some cases even because) of the fact that nearly all the media and the political and financial establishment of the country did everything possible to frighten them. All previous prime ministers, the leadership of the Church, respected retired generals, all the big names in the economy warned Greeks of the consequences they would suffer if they voted No and urged them to vote Yes. (We have grounds to assume that if all those pressures had not been applied, the result of the referendum would have been 80% or 90% for No). Even SYRIZA did not do any serious campaigning for the No vote! On Monday 29th June supporters of the Yes vote held a rally of about 20,000 people in Constitution Square, with the slogan “We are staying in Europe!” The Deputy Prime Minister Yannis Dragasakis went live on Greek state TV on the evening of the same day, just three days after the announcement of the referendum, to say that differences with the creditors were not after all so tragic, so that perhaps there was room for reconciliation and even a possibility of canceling the referendum. He added that whatever happens, Tsipras had already accomplished his mission and won his place in Greek history, thus opening the way for an “honorable retirement” of the Prime Minister! (The same person, Dragasakis, one day after the final agreement with the creditors, on the 13th of July, went on record to thank the US administration for its great contribution to the … capitulation!). Perhaps Tsipras’ advisors did not like this interview. Perhaps, with their eye on the public opinion data, they were beginning to fear that Yes was heading for a huge victory, which would be interpreted as their defeat and lead to their eviction from power. Anyway, Tsipras intervened for a second time on Tuesday 30th June, urging Greeks to vote No. Then something happened. Between Tuesday and Friday most Greeks made decision, in a way that no pollster or politician or analyst could have predicted. It was a question of logic and of hope. They knew they had little to expect from the “creditors” other than more disasters. The experience of five years had given ample proof of this. Why not try the other way, as their government was proposing? But those logical thoughts would not be enough in themselves to make Greeks disregard the thinly veiled threat from such powerful enemies to destroy their country, as they have done so many times in the past. Greeks understood that very serious risks were involved. It was at this point that the fundamental mechanism came into action that leads to revolts in History, whether violent or peaceful. The terrible dilemma they were facing activated the deeper strata of the individual and collective subconscious. Dignity won out over fear. After all, Greece has always been intrinsically linked, as a notion and as a project, to resistance against foreign invaders, and also to the notions of human freedom, citizenship and democracy. Those notions were born in Greece, for the first time in human history. They made possible the victory of the ancient Greek cities over the overwhelming force of the despotic empire of ancient times and it was this battle that gave birth to the very idea of Europe. In modern times, to give just one example, Greeks, along with the British, were one of the very few nations that resisted, in 1940-41, the rising totalitarianism of that era, providing the Soviets with the precious time and room for maneuver that were required for them finally to vanquish the monster. As the referendum proved, the deepest characteristics of Greek identity had not died out, as some people believed. They remained in the nucleus of the identity and they were awakened when people needed them. Unfortunately this is not the only near-permanent pattern in Greek history. Another one is betrayal, time and time again, by leaders: the difficulty of this nation acquiring a leadership commensurate with its heroism. Dionysios Solomos – Greek national poet and author of the Hymn to Freedom (also known as Dithyrambis to Liberty), the poem narrating the Greek Revolution of 1821, which became the national anthem of Greece – epitomized it in a historic phrase addressed to the inhabitants of the Ionian Islands (Letter to the Eptanisians): “My beloved people, easy believers, always betrayed”. Does this perhaps apply not only for Greeks but is a rather typical fate for utopians, idealists, freedom lovers? On Friday, July 3rd, hundreds of thousands of Athenians, perhaps more, converged on Constitution Square in one of the biggest gatherings in the history of the country to proclaim once again their “No” to the Empire of finance ruling and destroying their country. On the evening of Sunday, July 5th the result of the verdict was there for all to see. The government, without understanding or suspecting it, or being willing to do it, had awoken the gods of History. As the light of Apollo once more broke over this country, it revealed both the grandeur of the ordinary people who always make human history and the meagreness of their supposed leaders. There was no one in the government to receive the message. There was no one prepared or willing to launch the battle to which they themselves had called the people of Greece. Terrified by their own decisions and actions, never having prepared for something else other than a compromise permitting them to stay in power, very probably controlled and/or manipulated, one or the other way, by the “Masters of the Universe”, they begun to search for ways to “capitulate in dignity”, just hours after the voting had finished. During the night Tsipras fired Varoufakis, who would have had great difficulties signing the capitulation. On Monday morning he called together the leaders of all the parties to a meeting under the President of the Republic. Those leaders, insignificant persons in any case, and even more so after being rejected just the previous day by the overwhelming majority of the people, spent many hours working on a communique that would reinterpret the verdict of the referendum and explain that Greeks had given them the mandate not to open a rift with the creditors and not to leave “Europe”. It took some more days, until the 13th of July, for Tsipras to sign the final capitulation – and his own, moral before anything else, death sentence. 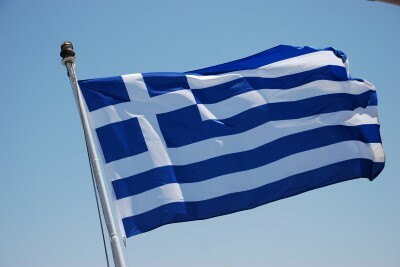 The sudden U-turn of the government, as soon as the vote was over, dealt a devastating blow to the morale and the psychological state of the Greek population, a blow much worse than a military defeat. It is normal to be defeated by a superior enemy. It is not normal to be called to battle by your chief, only for him to begin explaining the advantages of capitulation some days later. The world disappears from under one’s feet. Greek society was suddenly emotionally and intellectually devastated, unable to speak or act in any way. Many people even fell ill.
One year later, Greeks are still suffering from this moral blow and this defeat and also from the terrible consequences it is now beginning to have on their lives and on their country, which is gradually being transformed into a kind of financial Dachau. Was this the intended result or the outcome of a strange combination of different factors? We cannot give any certain answer to this question. But it is sure that neither Greek nor European history ended on July 13th, The British referendum is the latest demonstration of that). It will continue and it may well assume more violent and dangerous forms, with the geopolitical factor also intervening in the equation, as the terror attacks and the refugee crisis of 2015 have already indicated.